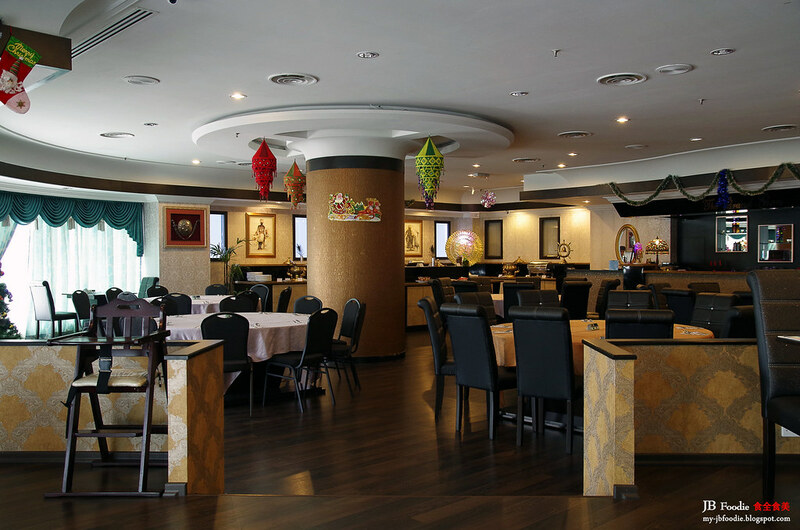 I have been contacted via Facebook by the marketing exec of The Grand Gem Restaurant, Ms An Lionel for the special invitation to drop by for a visit. I truly appreciate this opportunity granted by An and would at the same time, like to offer my apology for this dated article due to my tight schedule. 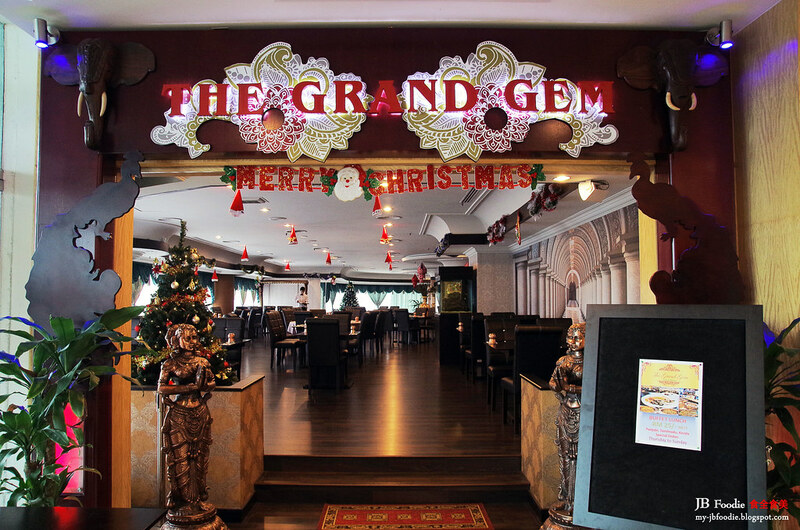 Let's get things rolling then ... the entrance to The Grand Gem Restaurant @ Grand Bluewave Hotel. For anybody who is not aware of this, the hotel is conveniently located next to the new Custom, Immigration & Quarantine (CIQ) complex and is only within 5 minutes driving distance. A convenient choice for Singaporeans looking to go back across the causeway in the shortest possible time, avoiding the frequent traffic jams around town. It was before lunch time when I arrived, and I reckon the place can easily accommodate more than 50 diners, probably even a 100 ? 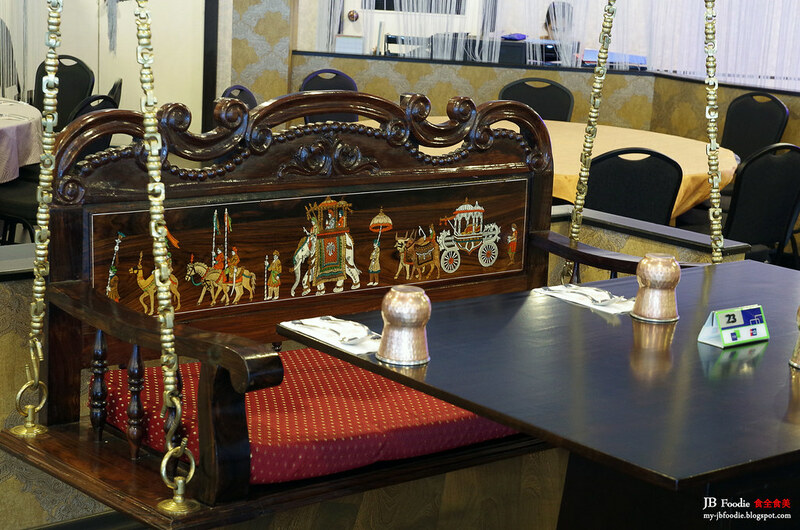 If chairs are not for you, how about opting to grab a seat on the swinging benches (crafted with intricate pictures) ? 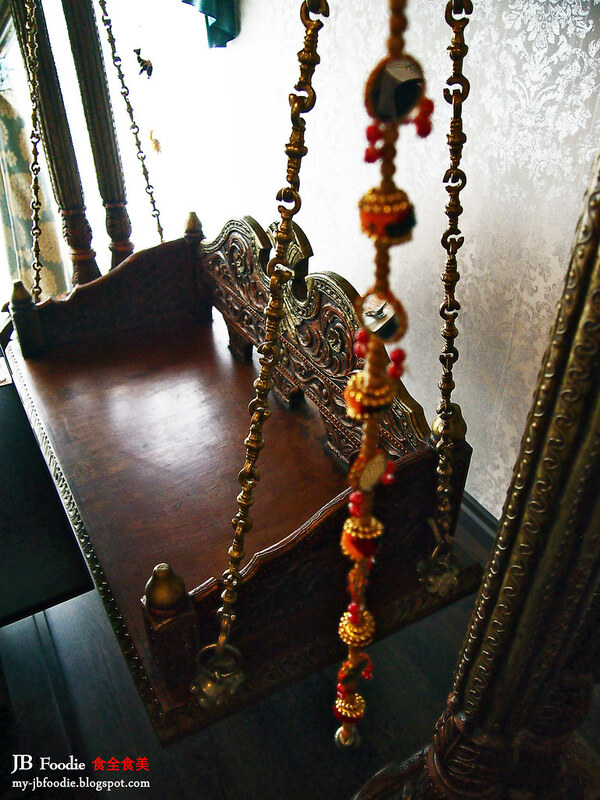 The other swinging bench out of the 2 which I have spotted. 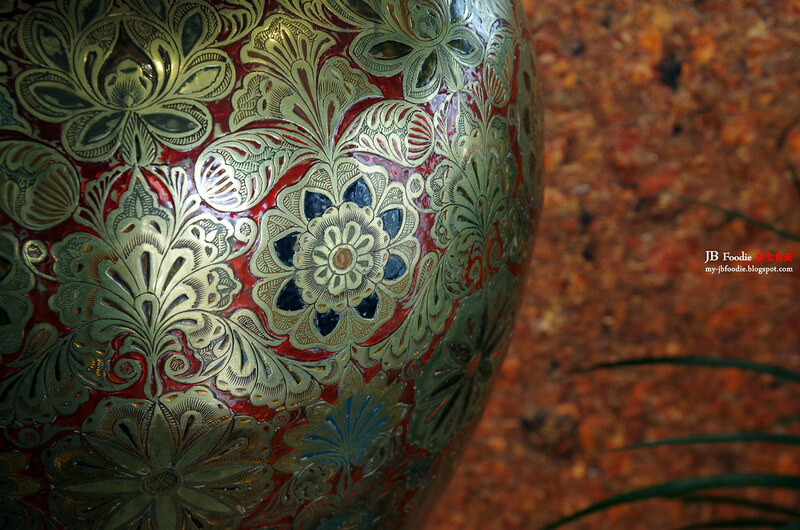 The place is well decorated and influenced with pieces of ornaments, reflecting on the North South Indian cuisines. 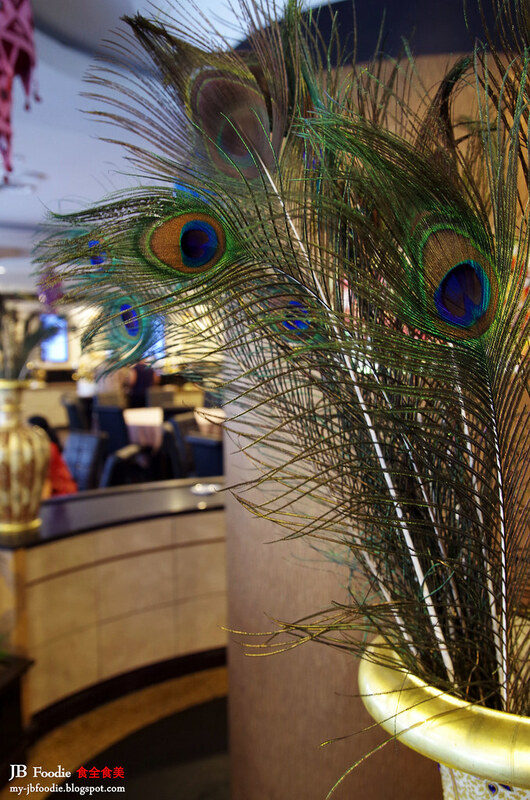 (Peacock) feathers to add on to their hat and credentials. 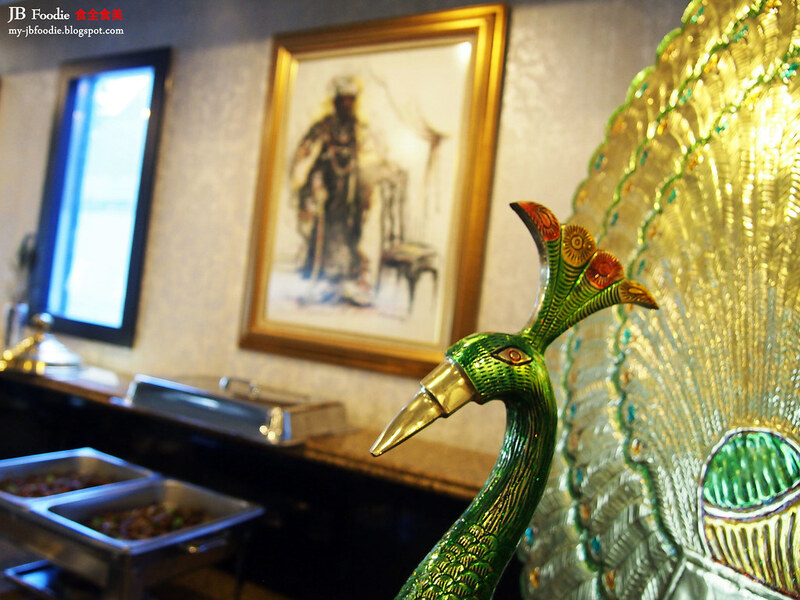 Golden peacock .. nice ! 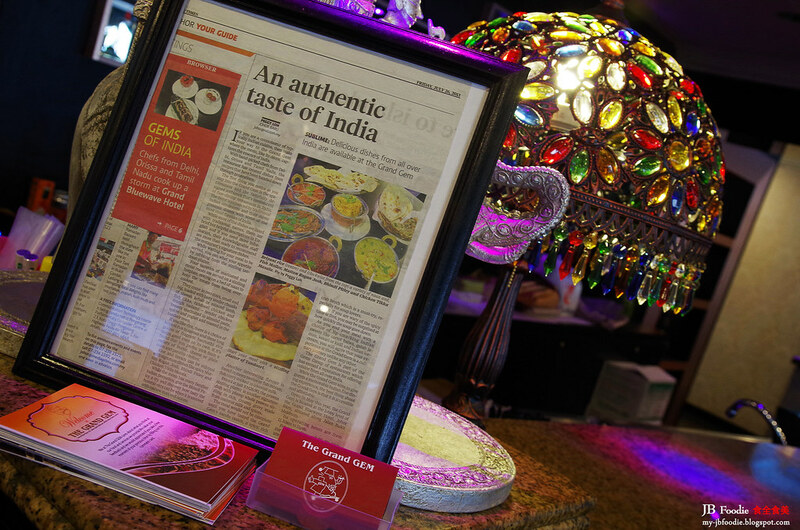 Additional gem to their crown, a recognition in honor of their North South cuisine authenticity. Lunch buffet is ready to be served ... and I shall begin my round now ! 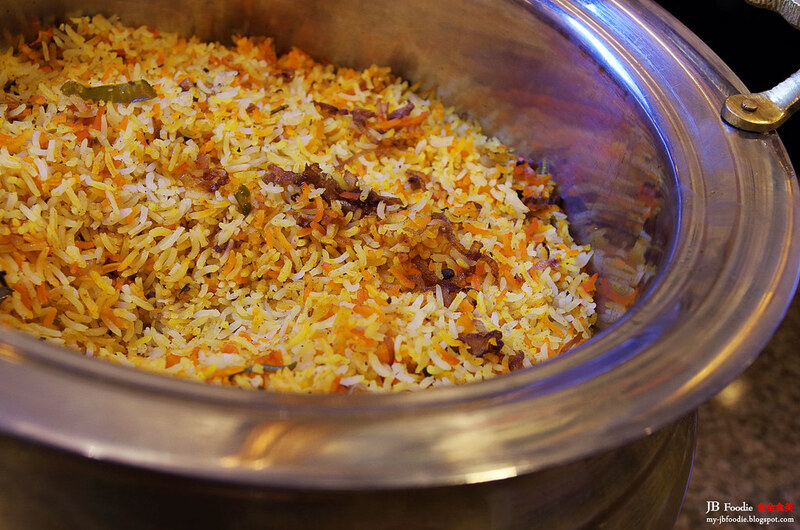 Basmati rice for biriyani, never to be missed for rice freaks like me. Just can't resist the urge to fill half my plate with it. 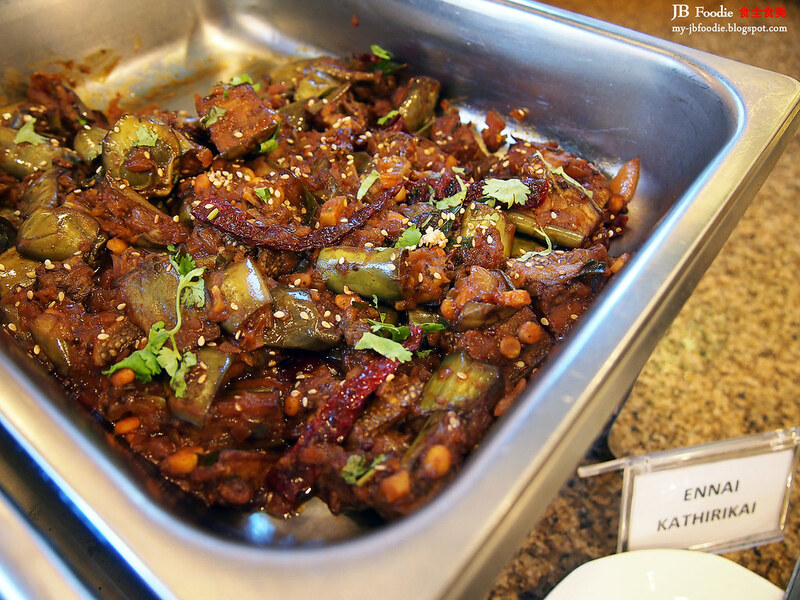 Ennai Kathirikai (eggplant curry) is a typical South Indian dish well liked by most, to be taken with rice and curry. Seafood for you ? 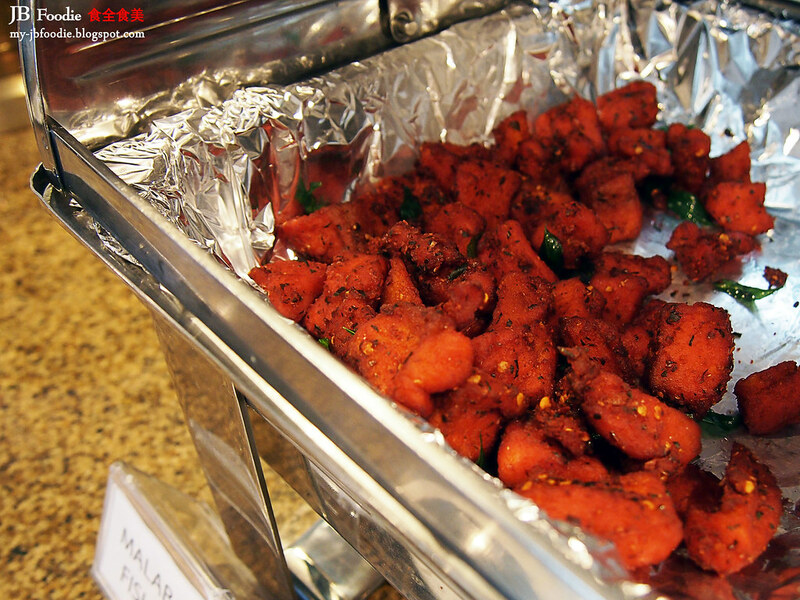 Malabar fish fry. 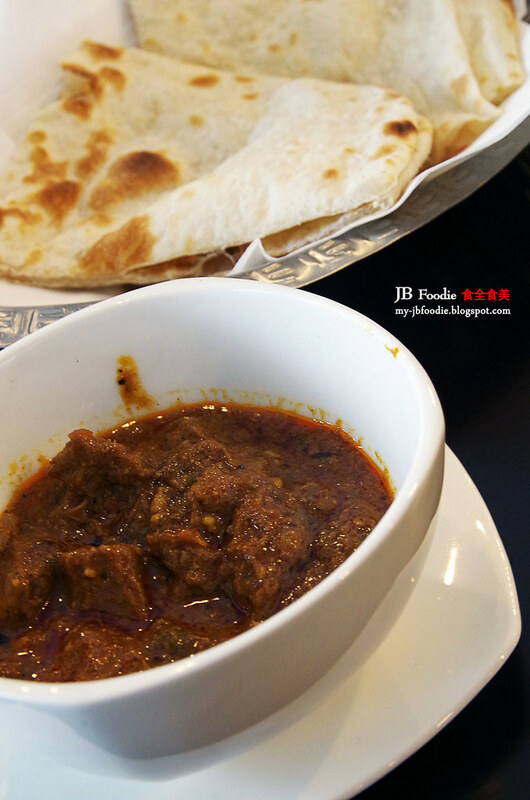 Erachi curry or widely known as mutton curry ... this is a must try for its rich, savory & spices loaded curry. 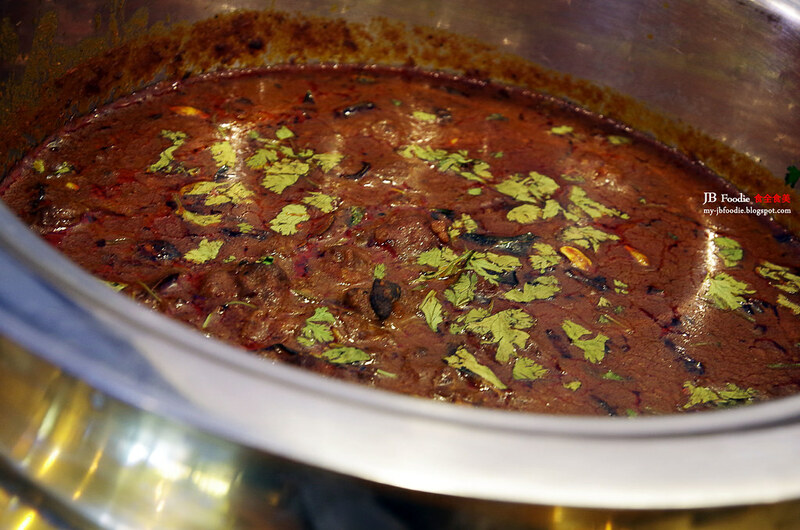 Ladle it over the beriyani rice or with naan, and one gets a truly satisfying meal just on its own. Must try to believe it. Plate is filled to the brim with all the food from the buffet table. 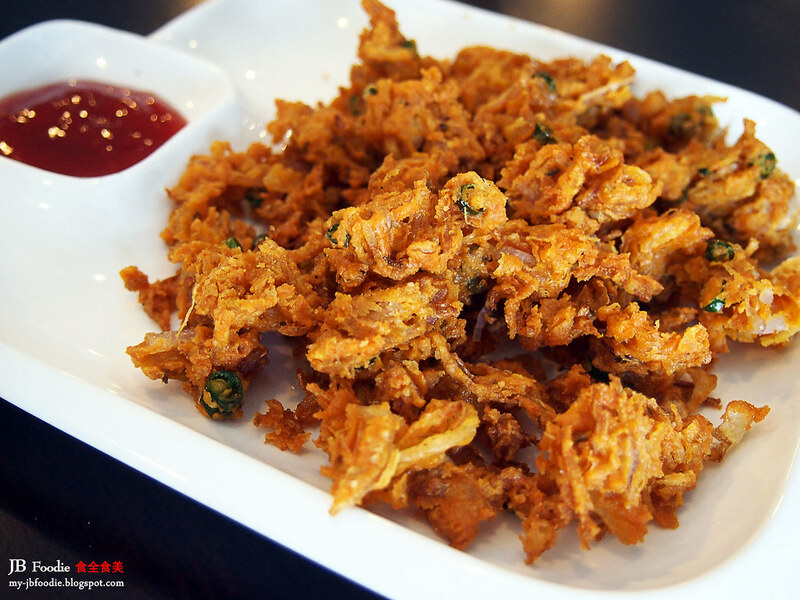 To be ordered from the waiter and not available at the buffet spread, freshly deep-fried Onion Pakora. 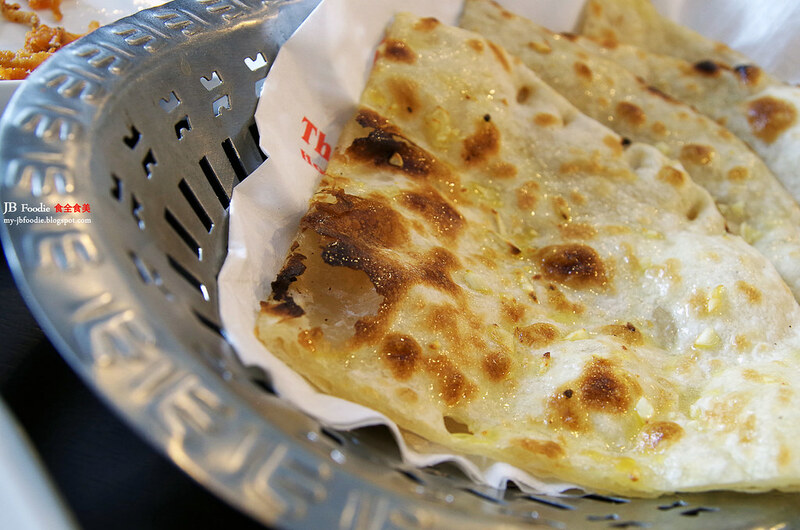 Same goes for the garlic naan, all freshly made upon ordering. 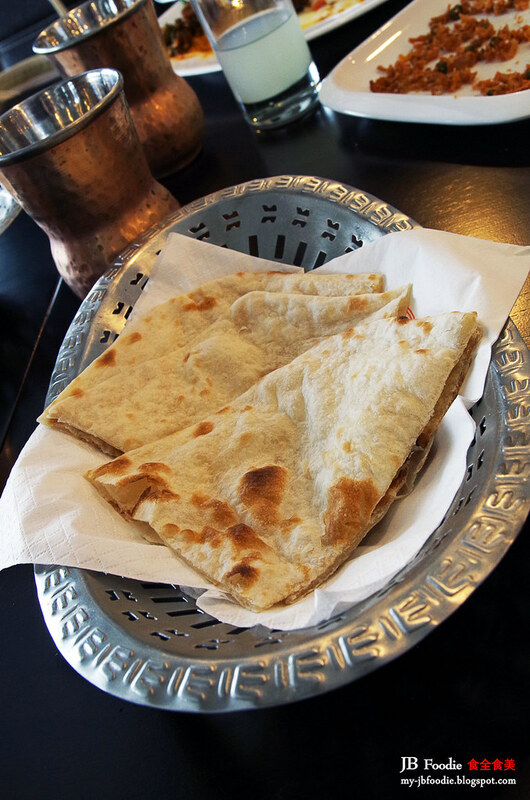 And the plain naan as well ..
For dips with the erachi curry (mutton curry), sparking a salivating experience even as I was penning down this article. 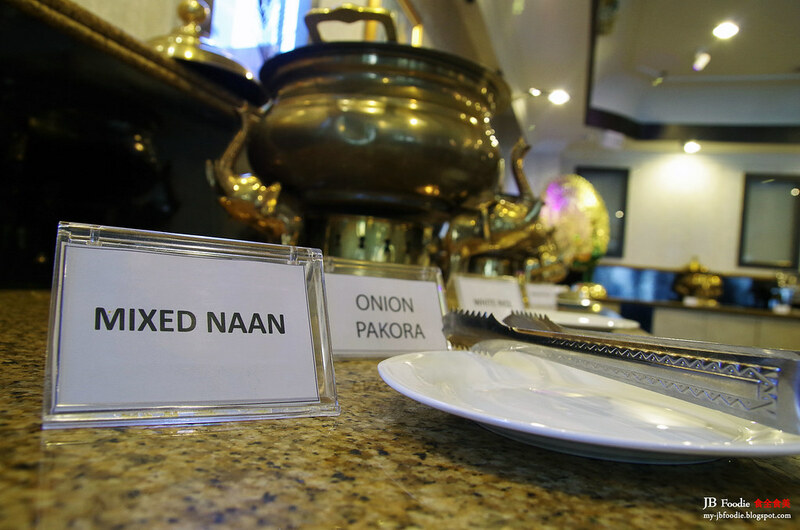 Preparing to go for a 2nd round or even 3rd round of onslaught at the buffet ? 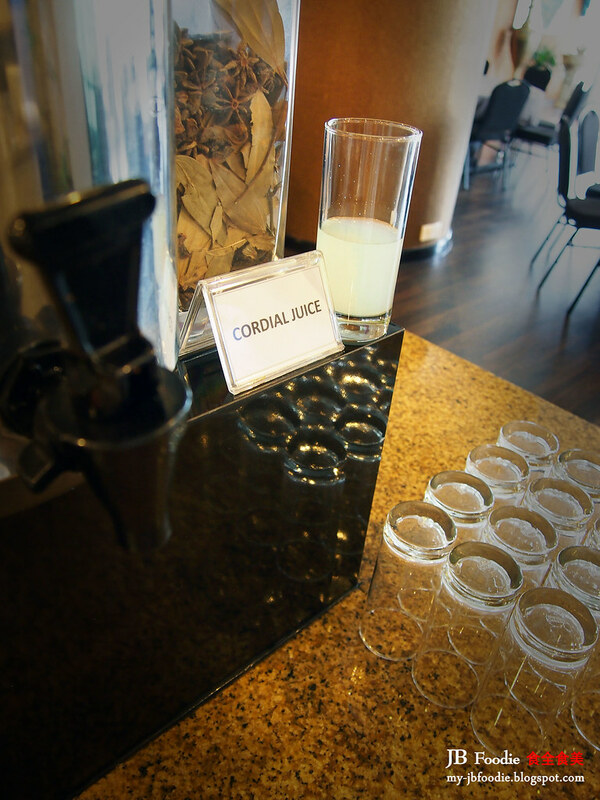 Have a break and try out their cordial juice, something to lighten up and prep for the upcoming round(s). 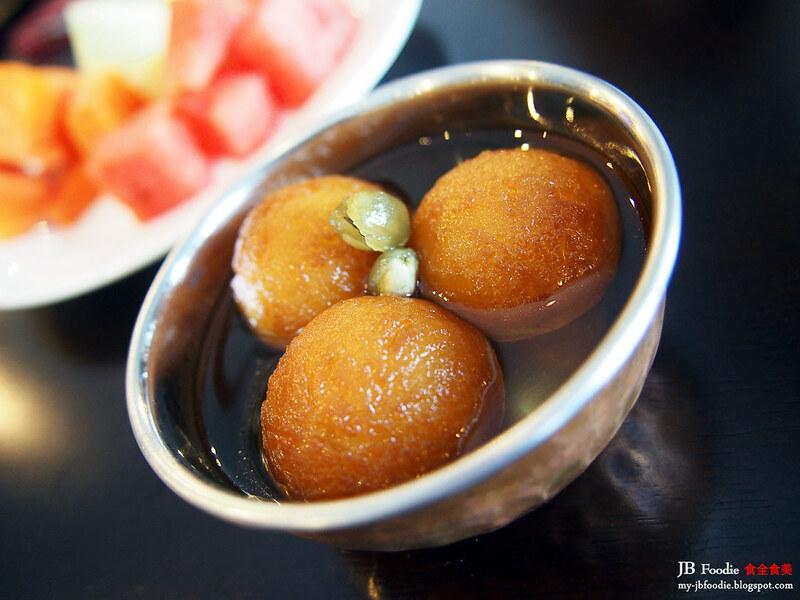 Gulab jamun is a diary based dessert popular in India, often served in wedding or parties. They are made mainly from milk solids, kneaded into a dough before being deep fried and coated in a light sugar syrup. 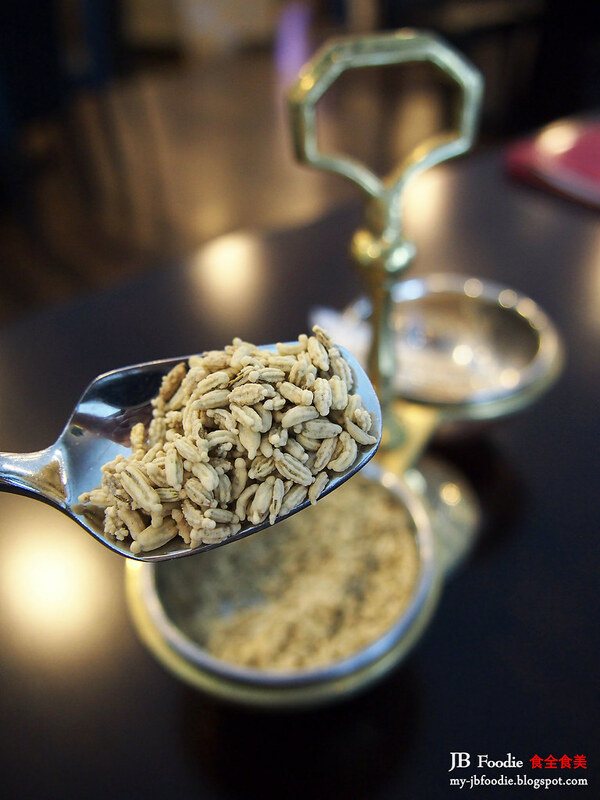 Excellent choice of natural mouth fresheners after a heavy meal - Fennel seeds (saunf). To be chewed upon after the meal and aids in digestion as well. Remember to ask the friendly staff after you're done with the meal. 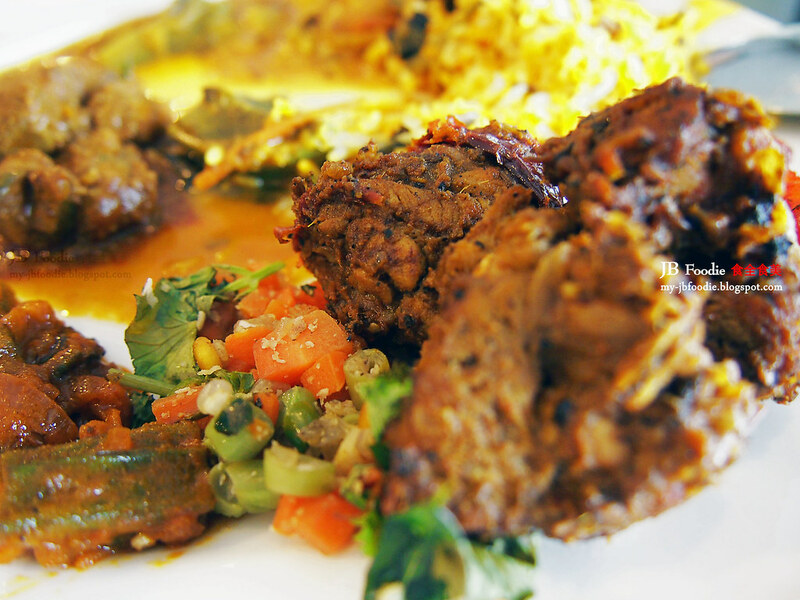 In addition to the dining outlets around Kuala Lumpur & Johor Bahru, they also provide catering for events and corporate functions. 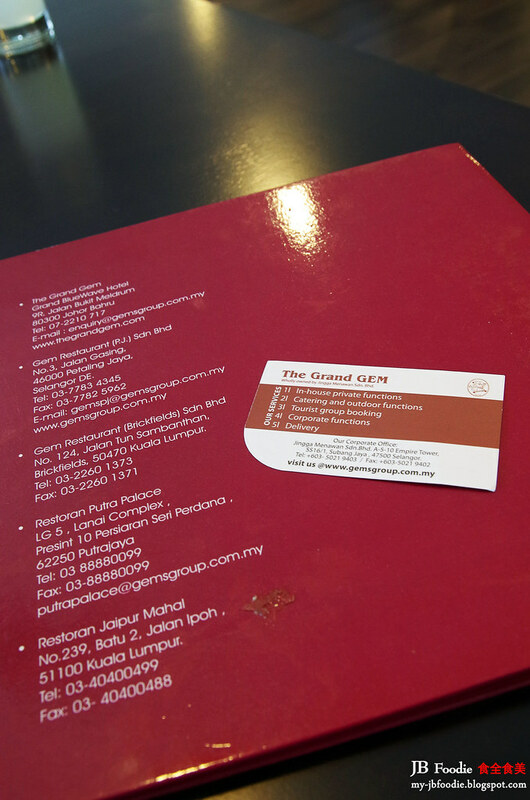 Conclusion: Satisfying & memorable foodie experience for me and my partner, which we reckon will never have a chance to try by our own admission, if not for the warm invitation & hospitality of The Grand Gem Restaurant (and their lovely marketing executive, An). Please be informed that the Food Sampling Event at Sutera Mall has been postponed. We will invite you again in near future. Tq.